1.This SATA adapter cable support transfer rates of 5 Gbps / 480 Mbps / 12 Mbps. 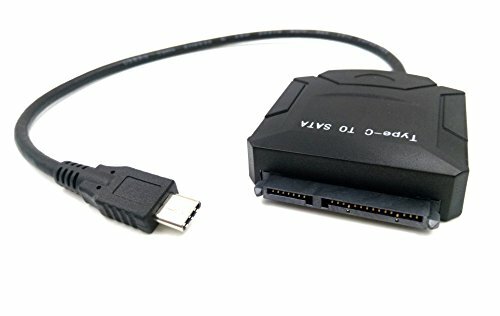 2.This Type C USB 3.1 Male to SATA 22 Pin 2.5" 3.5" Hard disk driver Adapter Cable for Macbook to help you transfer and storage data between your type c port computer and 2.5inch hard driver. 3.This type C port adopted reversible design, which allows of front and back connection, avoiding of wrong plug issues. Direction free and install easily. 4.Compatible with WIN 2000 / XP / VISTA / WIN7 / WIN8 / MAC / Linux. 5.Connector 1: USB 3.1 (Type C). If you have any questions about this product by Duttek, contact us by completing and submitting the form below. If you are looking for a specif part number, please include it with your message.